Mr Grundy is the lead consultant neurosurgeon for adult neuro-oncology (brain tumours) in Wessex and his neurosurgical practice is now entirely dedicated to the management of this patient population. Mr Grundy qualified from Southampton University Medical School in 1992 and was awarded my Bachelor of Medicine degree with Honours and Distinction in Medical Sciences. Thereafter, he trained in Oxford and Bristol before taking on a fellowship in Melbourne, Australia with Professor Andrew Kaye in 2004. During his time in Bristol he took two years out for a full-time research position sponsored by the Royal College of Surgeons (RCS) and PPP Healthcare and was awarded a Doctorate of Medicine (MD) by Bristol University for this work in 2003. His interests in teaching neurosurgery were reinforced by the completion of a Certificate in Medical Education at Bristol University in 2004. He was subsequently awarded the first Neurosurgical National Surgical Fellow from the RCS in 2012, a post that has recently been re-awarded in 2015. He has led innovation in neurosurgical oncology, introducing novel techniques for brain tumour biopsy, being the first surgeon to deliver day-case neurosurgery for brain tumours in the UK and performing and popularising high-volume awake surgery for brain tumours. Mr Grundy has an interest in medical management and leadership. He became the Clinical Director of Neurosciences at University Hospital Southampton in 2011 and subsequently the Divisional Clinical Director of neurosciences, cardiovascular and thoracics, radiology and trauma and orthopaedics in 2014. He has been chair of the NHS England Clinical Reference Group for CNS tumours since 2013 and a member of the adult Neurosurgery CRG. 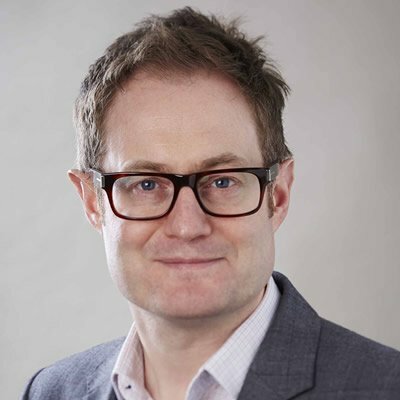 In 2015 he became lead for the Stereotactic Radiosurgery Expert Reference Group and is currently leading the national procurement process through 2015-2016 for this service across England. In 2012 he was voted by HSJ awards as the UKs Clinical Leader of the year and in 2013 was listed as one of the top 100 most influential medical leaders in the UK. Mr Grundy also works with a number of brain tumour charities and is one of the patrons for the charitable organisation BrainsTrust.